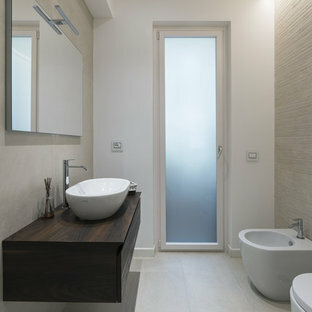 Scopri su Houzz la più vasta collezione di foto e idee per: Porta con vetro satinato. Sfoglia 506 foto sul tema e lasciati ispirare per il tuo prossimo progetto. Di Creative Design Construction, Inc.
A master bathroom is often a place of peace and solitude, made even richer with luxurious accents. 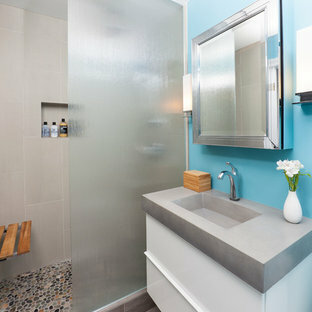 This homeowner was hoping for a serene, spa like atmosphere with modern amenities. 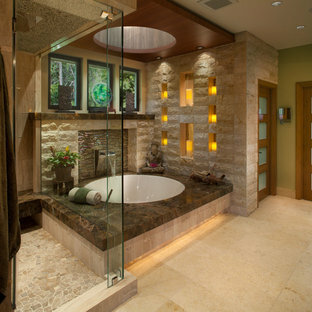 Dipped in gold, this bathroom embodies the definition of luxury. 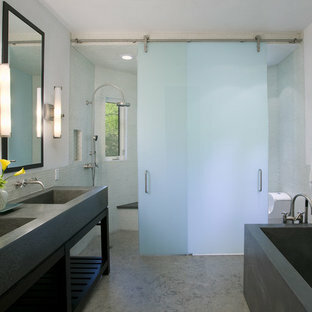 From the oversized shower enclosure, to the oval freestanding soaking tub and private restroom facility, this bathroom incorporates it all. The floor to ceiling white marble tile with gold veins is paired perfectly with a bronze mosaic feature wall behind the his and her vanity areas. 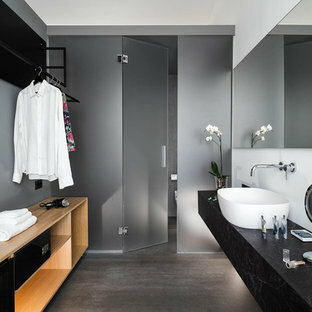 The custom free-floating cabinetry continues from the vanities to a large make-up area featuring the same white marble countertops throughout. A touch of gold is seamlessly tied into the design to create sophisticated accents throughout the space. From the gold crystal chandelier, vibrant gold fixtures and cabinet hardware, and the simple gold mirrors, the accents help bring the vision to life and tie in the esthetics of the concept. 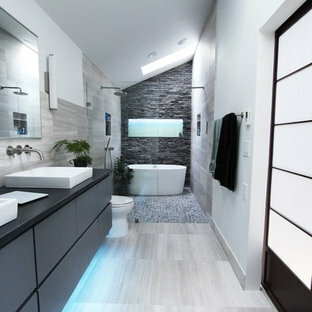 This stunning white bathroom boasts of luxury and exceeded the homeowner’s expectations. It even included an automatic motorized drop-down television located in the ceiling, allowing the homeowner to relax and unwind after a long day, catching their favorite program.